Welcome to visit our website! You are welcome to contact us freely for your any inquiry. OEM acceptable! We can help you to design & develop your own logo,lable & brand (tag). We are your own hair products factory & hair accessories factory here in China . Customized style & Colors are Accepted ! Pls click the left button PRODUCT CATALOGUE to view more pictures for our products. Pls click the above picture for our basic color chart. These 40 colors are basic color which we show you only,and we didn`t list all colors there,but we can produce all color according to yourselves` request. We`re pleasure to introduce ourselves to you,we are a reliable & trusted leader company which are a PROFESSIONALLY human hair products manufacturer & specialized exporter.and our capacity is 350000pcs/month,and we can give you the best competitive price & top quality Products,also best specialized after sales service. You are welcome to visit us & our factory personally. We can produce 100% human hair extensions ( size from 6"-30"&up ) in all style & color,human hair wig & synthetic hair wig (machine made & hand tied),lessons wig(Practice wig,training head), men`s toupee,wig display mannequin,keratin pre-bonded remy hair (stick shape,nail shape,flat shape,also V shape etc),100% Remy ( cuticle) hair extensions,hand tied human hair extension,skin weft (hand tied & machine made), 100% natural human hair ponytails (12"-45"&up,virgin hair in natural color ),Double Drawn human hair,single drawn hair.yak tail hair,yak belly hair,etc. products size available:6"-36" & up,(4/6",5/7",6/8",7/9",8/10",9/11",10/12",12/14",14/16",16/18",18/20",20/22",22/24",24/26",26/28",28/30",30/32",32/34",34/36"etc. )or according to your request. 3 tone color,tiger color, mixed color,F(side by side ) color,piano color,etc.any color are all available. You are welcome to post yourself colorchart to us to let us produce according to yourself request. We also can produce the 100% cuticle hair (remy hair) products in weaving,braiding,clip in extension,pre-bonded hair,hand tied hair extension or you according to your request,and this is the top quality hair which keep same hair direction there and tangle free. We can produce all kinds of synthetic hair weaving,synthetic hair wig,clips on,dome,Jumbo braiding,yaky pony,micro zizi,zizi braid,dred lock,festive wig,etc... KK fiber,Toyo fiber,modlon fiber,PP fiber etc available. As a specialized exporter,we also can supply the professionally hair kits,such as the ultrasonic hair connector,keratin glue stick,keratin glue grain,hair clip,fusion hair needle,fusion micro ring, silicon micro ring,fusion hair connector,hair extension iron,clamp (pliers),fusion glue melt pot,hair bond & bond remover,wig display mannequin,foam head mannequin,mask foam head,hair brush,hair comb,etc.beauty hair accessories & tools which concerned beauty salon can supplied. Dear friends,as old friends,we hope you can be our good partners forever.And as new friends,we hope this is a good beginning for both of us from now,being we are a trusted and reliable professionally company which should give you strong support in QUALITY & PRICE.like we said,we are your own hair & accesories factory here in China. welcome to visit us in anytime,our company always open for you here in China. You also are welcome to contact our sister company which located in Miami,FL,USA,and they have most items in stock,also they should give your most favourable price too. My friend,for your any order inquiry,pls give us your details exactly order inquiry like: products style,size,color,quantity,etc,being there have so many kinds style,size,color,and each of them have different price,so we can`t send all price to you without your details inquiry,pls understand us for this ! pls click here to find the purchase order sheet form.then write your order to us. Note:This isn`t online order system,so please save it and then send it to us by e-mail ,or print out then send Fax to us: 0086-374-3369805. Thanks and enjoy your business! Company: Xuchang Yuantai Foreign Trade Co.,Ltd. 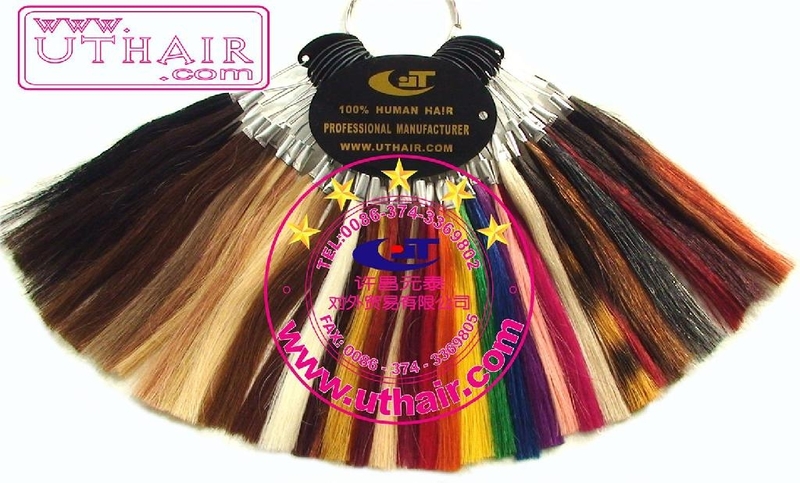 We are a China Government Registered professionally manufacturer & specialized exporter of remy hair products,100% human hair extensions,virgin (natural) hair products,synthetic hair weaving & braiding,wigs ( lace front wig,human hair wig,synthetic hair wig ),Toupee,hair professional toolset & accessories etc.since 1995. Copyright © 2005-2025 www.uthair.com All Rights Reserved. Text/Images/Logos/Book Images are copyright and property of our respective companies.